 Hospitals Responsible for Physicians' Bad Behavior - ONRAD, Inc.
HealthLeadersMedia.com | October 20 – When an independent physician harasses or discriminates against an employee of a hospital, someone must be held accountable, and guess what—it’s not the physician. Hospitals are the ones that are on the hook. “[The hospital] controls the terms and conditions of employment for your employees, and if your employees are being harassed by a nonemployee, you are on the hook for that nonemployee’s behavior because you have the ability to protect your employees,” says Michael McAuliffe Miller, Esq., an attorney at Eckert Seamans Cherin & Mellott, LLC, in Harrisburg, PA.
A hospital may try to hide behind the fact that it does not directly employ the offending physician. However, this is a thin defense, says McAuliffe Miller. The fact that the physician is not an employee of the hospital will not insulate hospitals if a discrimination or harassment claim makes it to court. “That obligation [to protect employees] is there whether it is the fellow that comes in to repair the Xerox machine who says inappropriate things to the admins or whether it is a physician that has admitting privileges,” says Robert Wolff, Esq., a shareholder at Littler Mendelson in its Cleveland office.